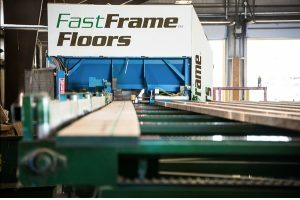 Rome wasn’t built in a day, but your clients’ floors can be with FastFrame™ Floors. Our integrated process at FastFrame™ Floors saves time and money, and delivers a superior floor system directly to your job site. Alpine Lumber implements a hands-on, eagle-eyed approach that ensures quality, consistency, and care every step of the way. Employee ownership makes our attention to detail and provision of quality products and services unparalleled.